DoubleClick is a subsidiary of Google. DoubleClick provides ad management and ad serving solutions to companies that buy, create or sell digital advertising. DoubleClick Ad Exchange, part of the Google Ad Manger platform, offers a real-time marketplace for buying and selling advertising. The platform connects ad networks, agencies and third-party Demand-Side Platforms (DSP) with a vast global inventory in real time. 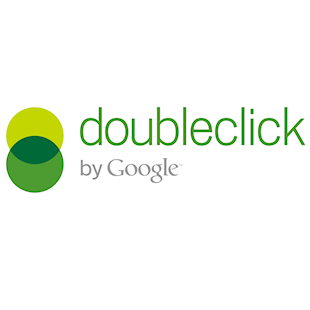 DoubleClick Ad Exchange enables users to plan, negotiate, and book programmatic direct deals, connect with top publishers' private marketplaces, and buy quality mobile web, mobile app, video, and desktop inventory from hundreds of thousands of publishers around the globe. Also referred to as Google DBM, DoubleClick Bid Manager is a complete programmatic buying platform that gives advertisers and agencies access to top-tier inventory across screens and formats, and the real-time insights required for smart buying. A consolidated buying and targeting workflow simplifies campaign management across formats, and advertisers can choose from a range of programmatic buying options, including programmatic guaranteed, direct deals, and open exchange. DoubleClick Campaign Manager is a platform that simplifies how campaigns are run, from media planning to reporting. The platform features an intuitive interface and all-in-one workflow that is easy to learn and quick to navigate. In 2018 DoubleClick advertising products became Google Marketing Platform. DoubleClick Creative Solutions is a digital advertising management platform that helps advertisers and agencies build and maintain engaging digital ads across a wide variety of formats, from custom video to mobile plug-and-play. A mobile-centered workflow makes it easy to create mobile rich media ads with responsive-design support. In 2018 all DoubleClick advertising products became Google Marketing Platform. DoubleClick Search is a search advertising solution that enables marketers to tailor ads to an audience with full support for AdWords RLSA campaigns, use audience signals to refine the bidding strategy, and automate search ads, keywords and bids on the fly with inventory-aware campaigns.